If you’re wondering how the Library can help you this semester then there are loads of workshops you may be interested in. Reserve your place today! 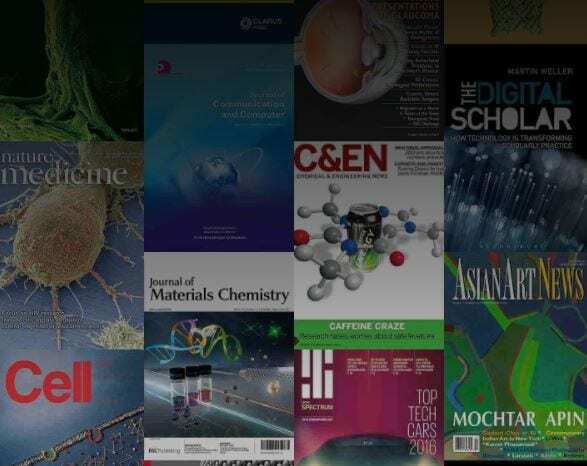 We have a new wonderful facility where anyone (well, anyone with electronic access to the University Library) is able to browse an enormous range of journals, categorised under subject headings. One of the things we like is the colourful graphics that tempts the user to explore a diverse range of subjects. All you need to do is go to the Library website > Find > Browse Electronic Journals and select a subject area, which would probably be Business and Economics but of course, you are free to access any of the other areas. We hope you like it. We do. Earlier today, I presented this lecture to 1st year Lincoln International Business School students about Qualtrics, survey software. This includes instructions and advice on setting up your account. For a wide-ranging database try using Scopus for your research (library.lincoln.ac.uk > Find> Databases > S >). I’ve added it to my subject guides (Accountancy and Finance, Advertising and Marketing, Economics, Events Management, HRM, International Business, Modern Languages and Tourism). 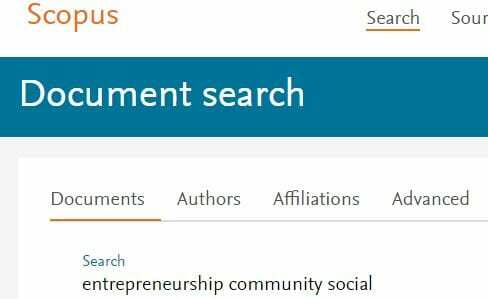 To test the search, I entered ‘entrepreneurship community social’ which elicited over 1000 results, which included eye-catching article titles like ‘Community energy and social entrepreneurship: Addressing purpose, organisation and embeddedness of renewable energy projects’ and ‘Financial social innovation to engage the economically marginalized: insights from an Indian case study’ (N.B. you’ll have to log in to read these articles). 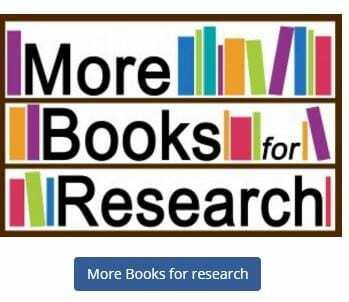 See what you can find on this database and deepen your research still further. Carrying out this kind of research not only gives you ideas but exercises the imagination too. 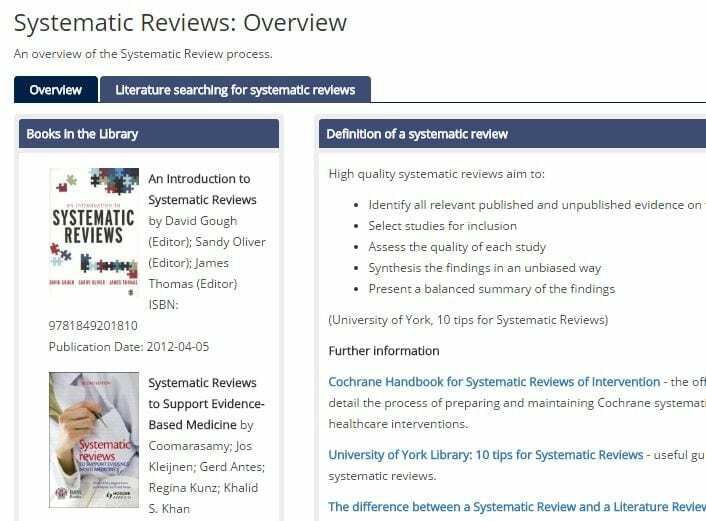 A systematic review is a type of literature review that collects and critically analyses multiple research studies or papers. 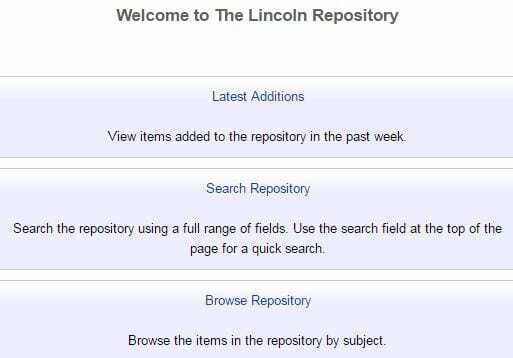 In the University of Lincoln Library we are mainly supporting PhD and Masters level students with the process of defining their question and developing criteria for searching and then how they should conduct their searches. Oonagh Monaghan, the Psychology and Sports Subject Librarian, has just launched a useful guide on systematic reviews. 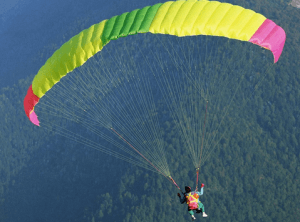 What does a Mixed Method approach mean? Conveniently, the much-borrowed Saunders & Lewis (2012) textbook carefully unpacks what a mixed methods research approach means via the layers of a onion diagram. This video was shared via a JISCMAIL network for Business Librarians which is a rich source of ideas and inspiration. I hope you like this brief 5 minute introduction to research skills brought to you by PowToon cartons. 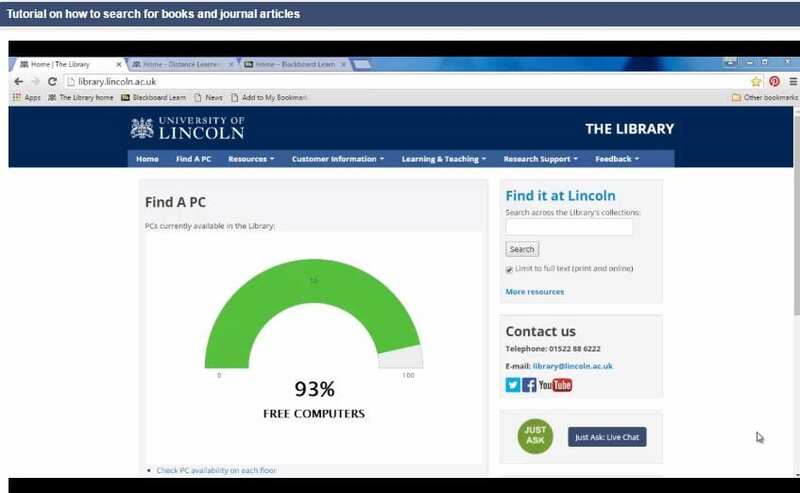 This video that was produced by Helen Williams, the Academic Subject Librarian for distance learners in the Lincoln International Business School, shows you how to find books and journals using the Library homepage at library.lincoln.ac.uk. Thematic coding – what is it? I was asked about thematic coding recently and searched the internet for a logical answer. This short video (6 mins) produced in 2010 by Graham R Gibbs from the University of Huddersfield is a useful introduction to this kind of systematic research analysis. Coding: This phase involves generating succinct labels (codes!) that identify important features of the data that might be relevant to answering the research question. It involves coding the entire dataset, and after that, collating all the codes and all relevant data extracts, together for later stages of analysis. The University of Huddersfield have also compiled an innovative website entitled Template Analysis (sounds like a 70s prog rick album!) designed by Professor Nigel King. This contains much useful information for the keen social sciences researcher. There’s even a Facebook community for the intrepid explorer wishing to explore their own discipline. Owing to student demand for greater flexibility around our drop-in sessions taking place at the Business School building, Martin and I will be delivering separate 1 hr sessions on the ground floor, opposite Starbucks (the Book & Latte) from 10-11am on Wednesday (Daren) and 10-11am on Thursday (Martin). Although we support different subjects we are keen to meet any student in the Business School with a library-related query such as researching the library databases, Harvard referencing and essay writing (such as essay planning, how considerate research relates to structuring and assignment, etc). You may be wondering how to can plan an assignment using our library resources? There is an easy way to design an essay structure using our library search engine, Find it at Lincoln. Using themed searches 5 or 6 times (depending on the length of your assignment) you can email relevant journal articles and save them on your student profile. These folders could become the main body of your assignment, with each folder representing a paragraph. Your introduction would simply be an explanation of what you are going to cover, whilst your conclusion is the summary of your reading. Lexis Library is a fantastic database which covers UK national and regional newspapers and is available via Library.lincoln.ac.uk > resources > databases > L > Lexis Library. The Library Service at Manchester Metropolitan University (MMU) has kindly uploaded a short YouTube video on how to find newspapers and narrow the results to tailor to your research needs. I would recommend Lexis Library to all students wishing to contextualise their research and ‘hook’ the reader into their assignment. Using newspapers makes the assignment current, interesting and shows a knowledge of wider issues. PS. There is an option to watch the video full screen at the bottom right-hand corner below.